For McDonough movers you can count on for honest, dependable service, turn to your local Georgia moving professionals at Bulldog Movers. We pride ourselves on putting the best interests of our customers first, and we have done so since our founding in 1982. One of the ways we uphold our values is by providing fair and upfront moving quotes. Oftentimes, other McDonough movers will initially give you a low quote, but neglect to tell you that it doesn’t include components such as moving insurance, materials, fuel, and other fees. 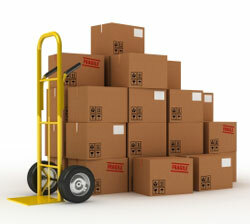 Instead, they’ll tack on the additional costs at the end of your move, so you have no choice but to pay the bill. At Bulldog Movers, we always provide comprehensive and upfront moving estimates, considering all possible variables before giving you a price. It’s this integrity that keeps customers coming back to us each time they move, and one of the reasons why we’ve earned the Consumers’ Choice Award for nine years in a row. No subcontracting – We never subcontract our moves to a third party, so you’ll be working with our team of McDonough movers every step of the way. Professionalism – Our McDonough movers are selected for their competence, integrity, and expertise, unlike other movers who hire applicants based primarily on sheer strength. Each Bulldog employee must pass an extensive screening process before joining our team, so you can rest assured your belongings are in good hands. For more information about our McDonough movers, contact Bulldog Movers today. We gladly serve residents of McDonough, GA, and all surrounding areas.